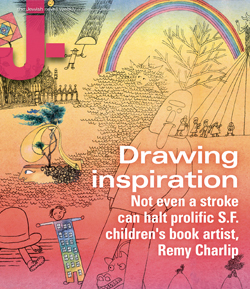 Drawing inspiration: Not even a stroke can halt prolific S.F. childrens book artist – J. When he was 76 years old, Remy Charlip still lived independently in a cozy apartment at the foot of Bernal Hill in San Francisco. He still took trips overseas, he still crafted original choreography, and he still wrote and illustrated children’s books. He was a Guggenheim Fellow and prolific creator even as a septuagenarian. And then it happened. A stroke. It initially robbed him of his ability to communicate, to paint, to dance, to write. His essence — buried. But not gone. After the stroke, “I wanted to kill myself,” he said, his face flushing at the admission. Pressing his palms to his eyes, he wiped away tears. Now 80, Charlip — an esteemed Jewish author/illustrator of 33 children’s books and an influential choreographer — has spent the past four years struggling to jump the hurdles a stroke placed in his path. 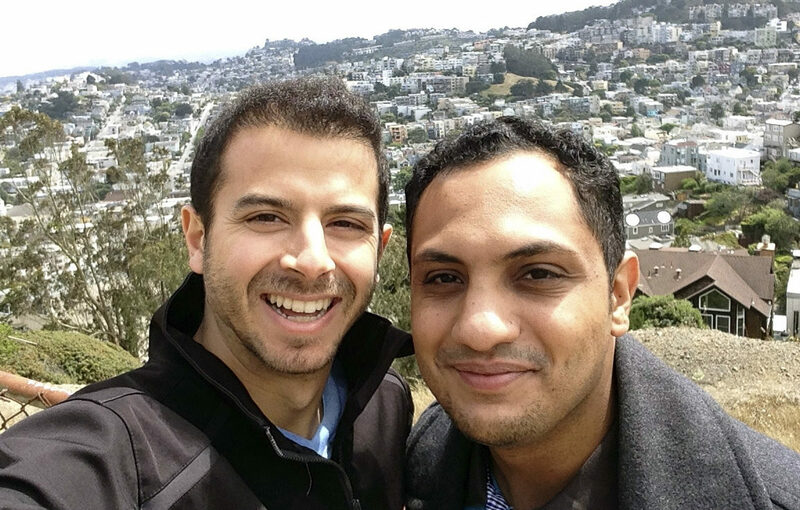 His recovery included working with physical, occupational and speech therapists for more than a year. Meanwhile, he also worked with choreographer Anne Bluethenthal, the co-founder of the S.F. Gay and Lesbian Dance Festival. Bluethenthal has visited Charlip once a week for nearly three years to provide him with a type of alternative physical therapy called the Alexander Technique, which helps people become more conscious about how their body moves. Moreover, people have never stopped appreciating his work. In the last five months alone, two arts centers have highlighted him — the Montalvo Arts Center in Saratoga and the Center for the Book in San Francisco. In the latter exhibit, called “Once Upon a Book,” the works of six nationally renowned children’s book illustrators and authors are being featured through Aug. 7. These celebrations of his art have helped to heal Charlip, by reminding him that his work means a lot to many people. “To know what [my books] do for people is incredible,” he said. Remy Charlip was born Jan. 10, 1929 in Brooklyn, N.Y. His mother called him Remelah. He attended Hebrew school with his sister, who was two years older than him, and had a bar mitzvah. He read all the time as a child, and began writing stories at a young age. He also loved to dance and paint. He studied textile design at a fine arts high school, but ended up studying dance at Reed College in Portland. He moved to New York after college and, through a friend, composer Lou Harrison, he met Merce Cunningham, a legendary 20th century avant-garde choreographer who died July 26 at age 90. Charlip spent 12 years dancing with the Merce Cunningham Dance Company in the 1950s and ’60s, and also designed the troupe’s costumes and advertising flyers. But dancers made little money in those days, so to supplement his income he designed book jackets. Then he became interested in writing and illustrating his own books, and in 1956 he published “Dress Up and Let’s Have a Party,” whose characters were based on dancers and artists Charlip worked with. “I always saw myself as a painter and a dancer and a writer,” Charlip said. In 1958, he co-founded the Paper Bag Players in New York. It’s now the oldest operating children’s theater company in the United States, and has toured nationally and internationally. At the time, he wanted only to cultivate and sustain a child’s interest in the arts. As the New York arts scene exploded in the ’60s, Charlip found himself working and socializing with avant-garde artists, such as Cunningham, John Cage, Jasper Johns and Andy Warhol. In 1967, Charlip became the head of the Children’s Literature and Theater Department at Sarah Lawrence College. After three years there, he directed the National Theater for the Deaf. He went on to serve as a visiting professor at Yale, Harvard and Hofstra universities, U.C. Santa Barbara and Bennington College. Charlip sketched out elegant line drawings of choreography — like a musical score for movement — then mailed them around the world to dancers and choreographers, whom he encouraged to interpret the drawings in performance. The airmail dances have since traveled the world, from the Netherlands to Japan. “This is choreography — like Remy — that points rather than dictates, invites rather than prescribes and expands rather than constricts possibility,” Bluethenthal said in a speech given at a 2006 benefit in San Francisco following Charlip’s stroke. Charlip moved to San Francisco in 1989 to experience and contribute to an arts community outside of New York. For more than a decade, he worked with a wide range of dancers and artists, including the contemporary Margaret Jenkins Dance Company, the Oakland Ballet and the disabled dancers in the Axis Dance Company. Throughout his career as a choreographer, Charlip always continued to write and illustrate children’s books, and since beginning in the ’50s has written and/or illustrated 33 books. His paintings are full of whimsical characters painted in immaculate detail and vivid colors, which complement stories rich with clever word plays. His most recent work is “A Perfect Day,” about a boy imagining how he and his father will spend a perfect day. He had secured a publishing contract and completed the story and watercolor illustrations before his stroke, and with the help of friends, got the book ready to go to the printer in 2007. The exhibit was originally Charlip’s idea; Hurd took the lead after the stroke. Charlip moved out of his apartment and into Rhoda Goldman Plaza in 2006. At that time, his close friend, Berkeley resident Erika Bradfield, hired someone to catalog all of Charlip’s art and paperwork, and also write an 18-page history of Charlip’s life and career. When “The Art of Being an Artist” was completed, one day Bluethenthal read it to Charlip. Six months away from his 81st birthday, Charlip is still lean and limber. He wears brightly colored clothing (he’s known for often sporting a rainbow-striped sweater) and frequently dons caramel-colored Ugg boots. His head is smooth, his beard white, his eyebrows charcoal, his face and demeanor as inviting as a warm cup of tea. He kisses visitors on both cheeks. And he still moves with a surprising grace. Bradfield, who works in the publishing industry, said that his body was very quick to heal, perhaps because of a lifetime devoted to dance. can’t find the words to say what he means. Yet after the stroke, he could barely move or talk at all. The dance community rallied around Charlip in June 2006, organizing a benefit dance performance for the “grandfather” of their community. Charlip and Bluethenthal danced together on the stage that evening, and the event sold out the Project Artaud Theater in San Francisco and raised about $20,000 for Charlip’s medical care. Children’s book author Brian Selznick remembers seeing his friend and mentor a couple of months after his stroke. “It was like having dinner with a surrealist poet,” Selznick recalled. “It was fascinating because his mind was there, but the words coming out of his mouth had nothing to do with the thoughts in his head. He’s able to write people’s names and to address envelopes. He still paints and occasionally draws, and he has made several silk paintings in the art room at Rhoda Goldman Plaza since his stroke. He draws inspiration from “everything, because everything is beautiful,“ he said. What motivates him most, however, is looking back at his life’s work. He enjoys looking through his closet — filled with his sketches, artwork and children’s books — and then displaying the work around his studio apartment. “A lot of what sustains Remy is placing his books in order, walking around his room and looking back,” Bluethenthal said. Selznick, whose work is also featured in “Once Upon a Book,” first met Charlip in New York a few years before his stroke. Selznick, 43, recalled being “super nervous to meet him because I had loved his work so much [as a child], and his books meant so much to me. But he puts you immediately at ease as soon as meet him. Selznick asked Charlip if he would pose for his sketches of Méliés, and Charlip said yes. When Charlip had a stroke soon after sitting as Selznick’s model, suddenly the story had even more depth in the eyes of its author — for in real life, Méliés lost his ability to be an artist but was finally given another chance to create, and was celebrated at the end of his life.